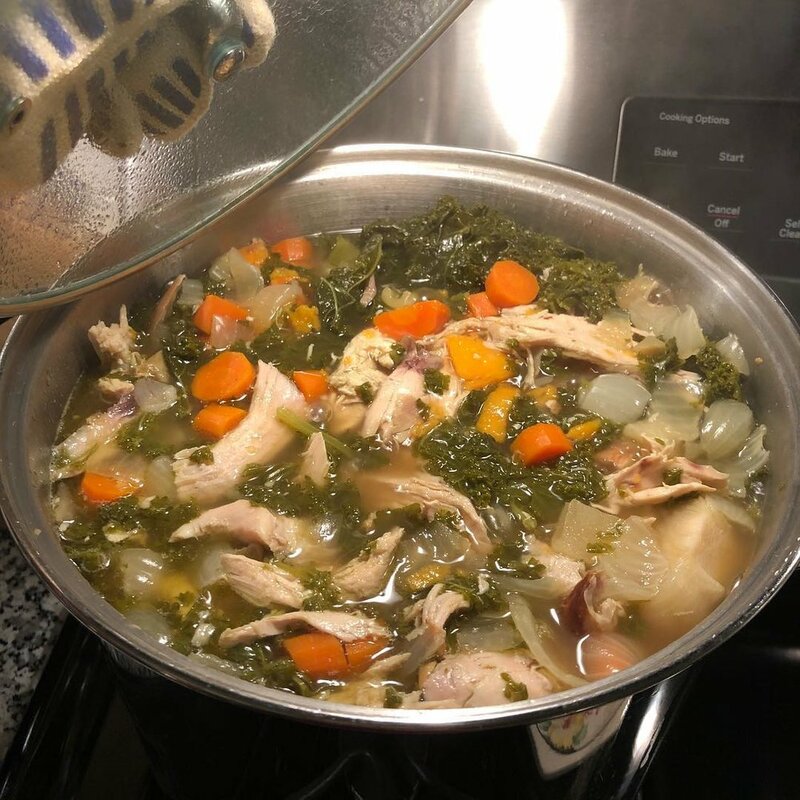 Chicken Bone Broth Soup! Simple to make, perfect for cold winter days, and yields a TON of meals. We usually make over the weekend so it has plenty time to simmer. 1. Put the broth in a big pot. Clean the meat off the rotisseries and set the meat aside. Put the bones in the pot with the broth. Bring to a boil and then turn down the heat. 2. Cut up all the veggies. Put the guts and butts in the pot with the broth. Put the good stuff with the meat you set aside. 3. Cook the broth for several hours. We usually cook the broth for a day and then add it to everything else on day 2. You will prob need to add more water to the broth. 4. After the broth is done, strain it and add the meat and veggies and cook for several more hours.